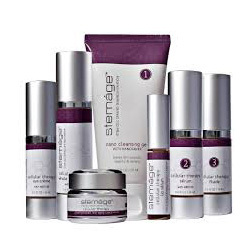 Stemage is a surgeon developed stem cell derived skin care system. Using the power of MDFC19 claims to give you ageless beauty assisting your skin to regenerate. MDFC19 is primarily made up of proteins, peptides, organic ingredients and the special growth factors extracted from Adult Human Mesenchymal Stem Cell cultures. Stemage does not contain any stem cell only what is extracted from the cultured Adult Human Mesesnchymal Stem Cells. It claims that people can start seeing results from 1 week but usually around 4-6 weeks. The product is endorsed by Kathy Ireland. With your help we can reach more people and let them know about Stemage Skincare System whether this product works or not.